Pioneer's flagship multi-media player gets numerous enhancements. "I prefer the new CDJ Nexus of course, the only way is forward!" In this photo of Skrillex performing live at Paraiso 2015, he can be seen using three Pioneer CDJ-2000nxs decks. Flux Pavilion is seen using the CDJ 2000 Nexus. In this Instagram picture, Hardwell is using 4 of the Pioneer CDJ-2000 Nexus at a festival. The quote used on this picture is the hashtag #UnitedWeAre! When Above & Beyond do DJ sets, they use "two linked CDJ2000s and use an SD card pre-programmed in Rekordbox"
"The new cdj's just came in!!! :-)"
In this photo from Ultra 2014, Afrojack can be seen using the Pioneer CDJ-2000NXS. "My current setup is a [Pioneer] DJM-2000 mixer with four CDJ-2000 nexus players. As I said, we use the nexus players because we have the specific software written for those CDJs, so my team can see which tracks I’m playing and what visuals they can sync up. So, no matter how big or small the system, we can always work with the visuals." In this photo from Martin's Facebook, we see him behind a mixer and two CDJs with five buttons on the upper-left-hand corner of the interface— a signature of the 2000 Nexus model. Tiesto's uses the industry standard Pioneer CDJ-2000 Nexus. A photo of Disclosure DJing reveals they use a pair of Pioneer CDJ-2000s, together with a DJM-900 DJ mixer. With his Serato-based live DJ setup, Dillon Francis can be seen using the Pioneer CDJ-2000 Nexus to control Serato. "Nexus CDJ's! Courtesy of @PioneerDJAUS ... I know what you're syncing"
"My favorite feature would be the quantize tool... which helps you quantize the loop. You can play around with the beat so it's 4 beats, 2 beats, 1 beats, down to... noise." In this video, Eric Prydz can be seen using the Pioneer CDJ-2000 Nexus. Sebasian Ingrosso uses Pioneer CDJ-2000s to DJ live. This is what he has to say about the product: "One of my favorite features is the whole screen… you can really browse easily with the menu, your tags (you can tag tracks that you maybe want to play later in the DJ set), then you can change colors of the screens, so if for example we're playing the three of us, like we do sometimes in Swedish House Mafia - me, Steve Angello and Axwell - we can have different colors so we know what's going on. You can search for artists… to be honest I think I can still be drunk and navigate this, and thats the best thing with it!" R3hab DJs using Pioneer CDJ-2000s. Boys Noize prefers using Pioneer's DJM mixer and CDJs since he likes to "mix fast." He uses a fourth CDJ to play stems from, to keep his sets fresh and interesting. Bassnectar uses a CDJ in his live show purely for backup purposes. In an Instagram post he explains, "the CDJ is for ultimate bombproof triple degree backup. Like at Summer Camp years ago when I jumped around so hard my table collapsed. CDJ saved the day. I had 'Seek&Destroy' cued up on it @ Ultra ;)"
From Pioneer DJ's YouTube account: "The performance also incorporated two CDJ-2000nexus playing rekordbox analysed music, plus a laptop running Ableton." Deorro relies on CDJ-2000s for his DJ sets. 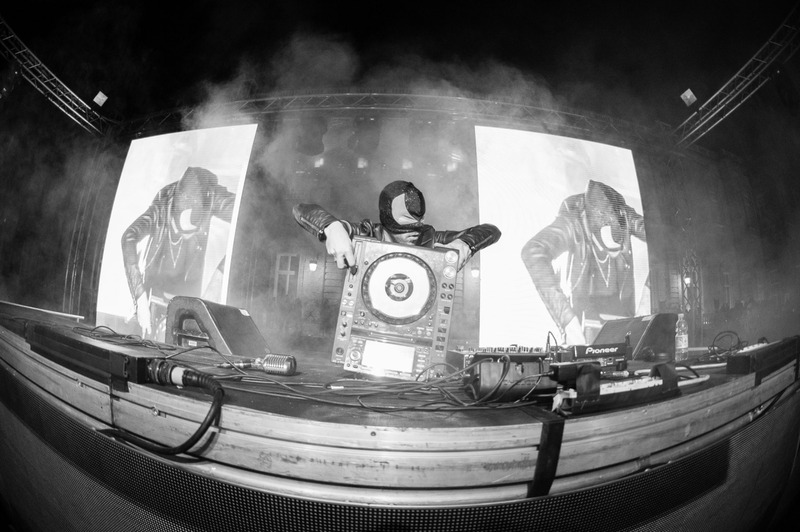 Kill the Noise can be seen using two Pioneer CDJ-2000 Nexus players in his live set-up in this photo. In this video Carl Cox DJs on Pioneer CDJ-2000 Nexus players. 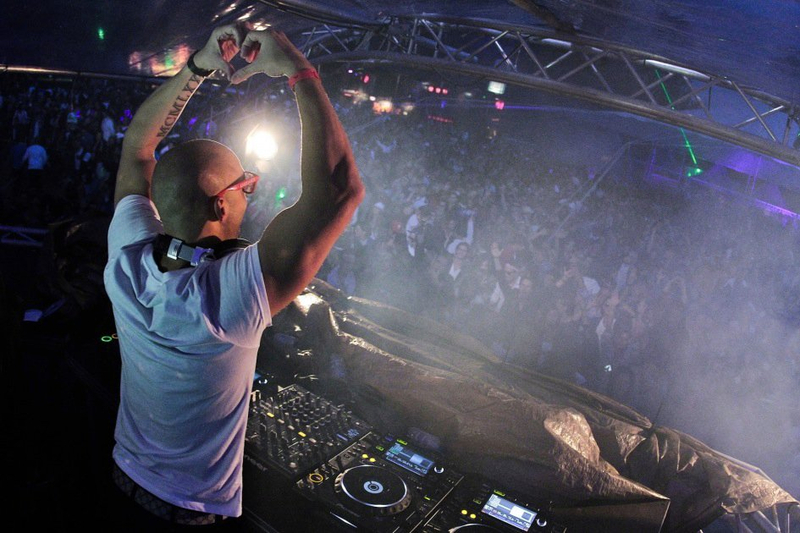 Chuckie DJing on Pioneer's CDJ-2000 Nexus players. Lucky Date tweets a picture showing off his living room setup, which includes two CDJ-2000s. In this Facebook photo of Vicetone performing live, one can count five buttons along the left of the closest CDJ's interface. The 2000 model only has four, so it stands to reason that the CDJs used here are the 2000 Nexus models. The new sync button and some improvements on the loop allows you to make one more step when you really want to work with more than two decks at a time, everything gets faster and creativity gains. MAKJ DJs with a pair of Pioneer CDJ-2000s. The Bassjackers live setup includes Pioneer CDJ-2000s, as seen in this pic. Simply the best CD players you can get. So many cool features. The item can be seen into this video. Andrew Rayel live on Pioneer CDJ-2000 Nexus players. 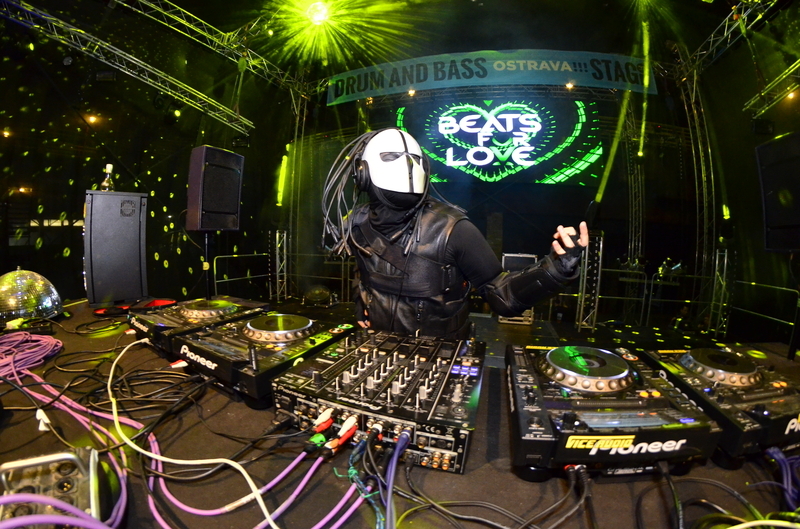 In this photo from his live set, Syn Cole can be seen performing on CDJ-2000 Nexuses. Markus Schulz can be seen using a pair of Pioneer CDJ-2000 Nexuses in this photo of him performing in Montreal. 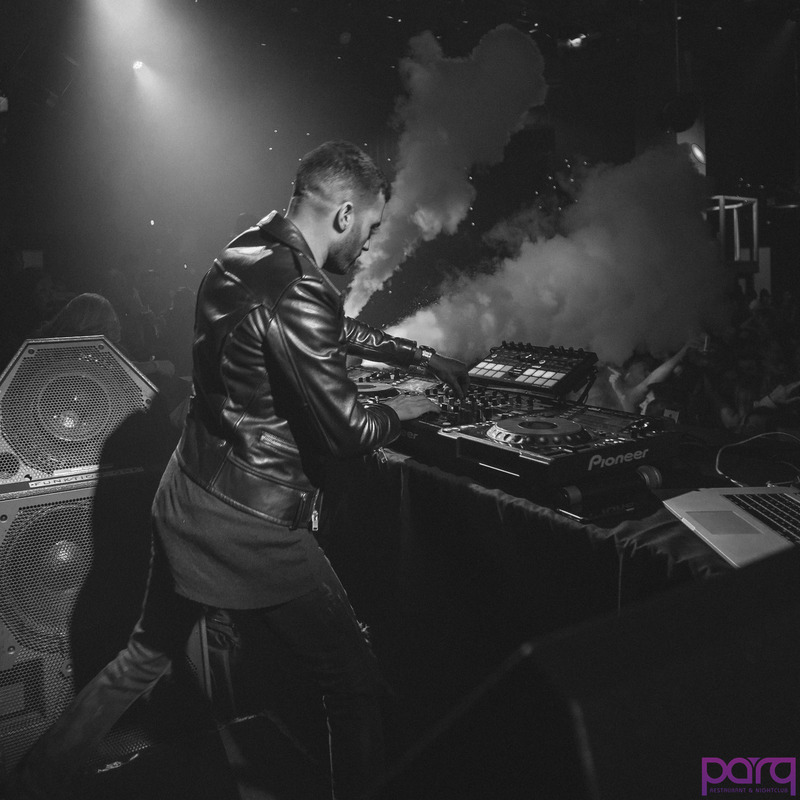 A-Trak playing at ParqSD 5/8/15.He's also using the Pioneer DJM-900 Nexus Mixer and Pioneer DDJ-SP1 DJ Sub-Controller for Serato. Ferry Corsten DJs using the CDJ-2000 Nexus in this Facebook photo. The CDJ-2000 Nxs can be seen at 1.35 into this video. Michael Woods and his DJ setup, with four Pioneer CDJ-2000 players. In this video you can see Blasterjaxx using the Pioneer CDJ-2000 Nxs. In this photo, Sick Individuals are using the CDJ-2000 Nexus. In this dramatic Rukes photo, Martin Solveig can be seen performing on a wet CDJ 2000 Nexus in the rain. In this video you can see VINAI using the Pioneer CDJ-2000 Nxs. In this Instagram photo posted by DJ Mike Hawkins captioned "Morning Workout", Hawkins is using his Pioneer CDJ-2000 Nexus player. It can be inferred that this is what he uses in his studio for practicing his DJing and mixing. The song currently playing on the CDJ is his own remix of "Wizard" by Martin Garrix & Jay Hardway. 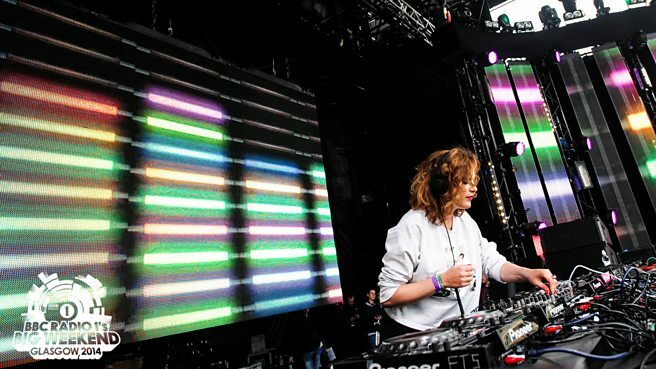 Annie Mac uses 4 CDJ-2000 Nexus' during her live set up as shown in this image. On vois que sur ce live , il mix avec deux Pioneer CDJ-2000 Nexus . These CDJs can be spotted flanking Angger's mixer during his performance on The Tonight Show. There are five buttons along the top left of the interface for each, which distinguishes them as the Nexus model of CDJ-2000s. Far Too Loud can be seen using this live during the Czech Republic tour. In this photo, Joy Orbison can be seen using the Pioneer CDJ-2000 Nexus. In this photo from Moby's Instagram, we see three (of, likely, four) CDJs flanking his mixer in a live performance. The number of buttons along the left side of each unit, as well as the alignment of the top-most buttons across the interface, would suggest that these are the Nexus model of CDJ 2000s. The item can be seen in this photo. In one of his live performances, Ashley Wallbridge was seen using this. In this video at 00.30 you can see Borgeous using the CDJ-2000 Nxs. In this Facebook photo, Paul Oakenfold performs with a pair of Pioneer CDJ-2000s. There are five buttons on the upper-left portion of the console, distinguishing it as the Nexus model (as the standard model only has four buttons). In this photo we can see CDJ-2000 Nexus. Duke Dumont can be seen playing on the CDJ-2000 NXS in this Facebook photo. In his live show in Ibiza, Guy Gerber used this. in this photo we can see his cdj 2000 nexus.. In this pic one of many to say. You can Edx playing live on a Pioneer CDJ-2000 nexus. Check it out!! In this Instagram photo of SCNDL performing live, one can count five buttons on the upper-right-hand corner of the CDJs' interfaces— indicative of the Nexus model of the ubiquitous CDJ-2000. In this Facebook photo, Nitro Fun has taken a picture of the gear he'll be using to perform. On the right-hand CDJ, one can see five distinct horizontal light reflections vertically aligned on the left-hand side of its interface. These five buttons are often indicative of the Nexus model of the ubiquitous CDJ-2000. In this Facebook photo, Quintino is performing live with four CDJ-2000 Nexus players. They can be distinguished as the Nexus versions due to the two small yellow "BEAT SYNC" lights just above the pitch fader. Kill the Buzz can be seen using the CDJ-2000nxs in this photo posted to Facebook. At 0:25 in this video of Oliver Heldens doing a live set, we see a top view of his mixer and two CDJs. There are five buttons on the top left hand corner of the CDJs - a feature only on the 2000 Nexus model. In this instagram picture you can clearly see Mercer using the Pioner CDJ-2000 nexus. Check it out!! In his performance in Belarus, this can be seen. 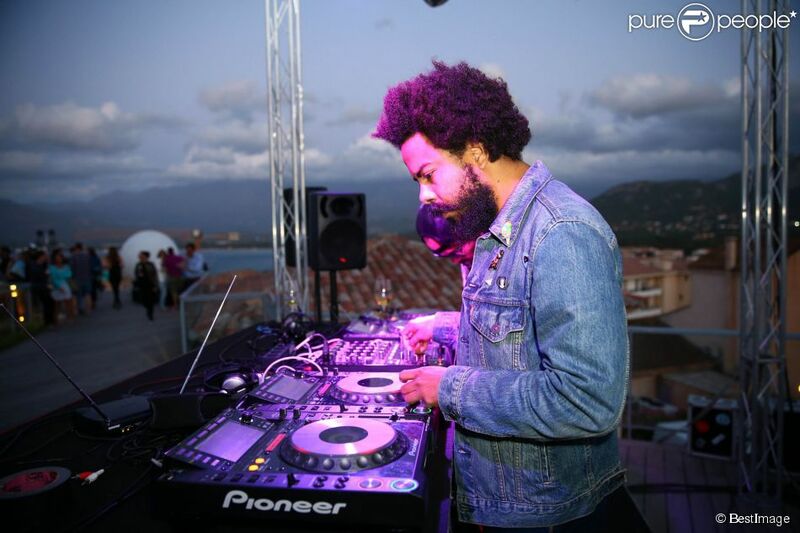 Jillonaire playing at Marc Jacobs party at Calvi on the Rocks, Corsica. Thank you @medusasunbeach for having me at your great festival last night. in this photo we can see his cdj-2000 nexus.. Besides the technics are 2 and eventually 3 CDJ's. A pair of Pioneer CDJ-2000 Nexus can be seen in this Instagram picture, uploaded by the artist himself. A pair of Pioneer CDJ-2000 Nexus can be seen in this Instagram picture, uploaded by Klangkarussell themselves. A Pioneer CDJ-2000 Nexus can be seen on the bottom right corner of this twitter photo. DJ player used at TomorrowWorld 2015. In the background photo of this video, Robin Schulz can be seen using Pioneer CDJ-2000NXSs. In this picture from Otto's Facebook page, the CDJ-2000 can be seen during a live performance. In this picture you can see that Mikkel has two Pioneer CDJ-2000 Nexuses. In this Instagram picture, a pair of Pioneer CDJ-2000 Nexus can be seen during a liveset. In the above concert photo, Emoh Instead can be seen using multiple Pioneer CDJ-2000 Nexus' in a 2015 show. In this picture,Kura is using 3 of the CDJ-2000 Nexus units. In this video you can see OVERWERK using the CDJ-2000 Nxs. In this live photo from a Beetroots set, posted to their official Tumblr page, you can see a Pioneer CDJ-2000 Nexus. You can tell that it is the Nexus by the buttons on the right side of the deck (left side of the picture) just above the fader, as well as the length of the branding text along the bottom (upside-down in this photo). In this photo you can see Noisecontrollers using the CDJ-2000 Nxs. In the Instagram photo uploaded by Heatbeat, one can see the Pioneer CDJ 2000 Nexus CD Player. On this video from Gammers youtube channel, you can see that he is mixing with a CDJ 2000 Nexus from Pioneer. Here we see Frankie Knuckles performing with the CDJ 2000 Nexus'. In this instagram pic you can clearly see Ralvero using the Pioneer CDJ-2000 nexus. Check it out! 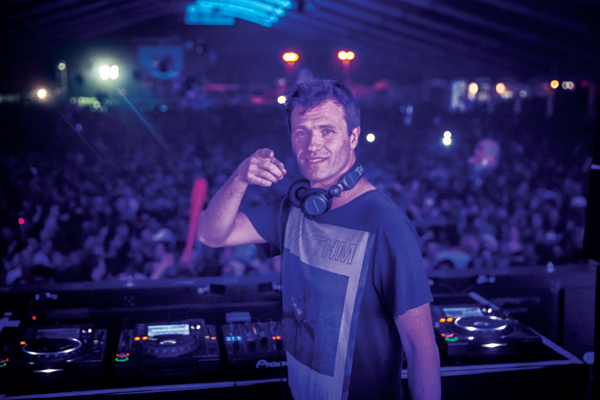 In this Facebook photo of Tujamo performing in Anzu Club in Ita, Brazil on December 13, 2014, he is seen with four Pioneer CDJ-2000 Nexuses as well as a Pioneer DJM-900 mixer. In this Instagram clip, MOTi is seen several times using Pioneer DJ equipment, including their popular CDJ-2000 Nexus model. This item can be seen multiple times at 0:25 in this YouTube video. Jeff Mills usually plays with the Pioneer CDJs. Phuture are using CDJs along with their live gear. Seattle I'm ready for ya! FOUNDATION NIGHTCLUB tonight! On his Facebook, Razihel is seen using this. In this Instagram pic you can also spot the Pioneer CDJ-2000 nexus in action, Check it out! Curbi is shown here at a Pioneer master class with a Pioneer CDJ-2000 Nexus, learning how to DJ. Meet the next generation DJ turntable that opens doors to performances beyond your wildest dreams. The CDJ-2000NXS allows you to evolve beyond beat matching, and explore and master the newest DJ performance possibilities. Two CDJ 2000 Nexuses are clearly pictured in this picture, from Approaching Nirvana's [Facebook](https://www.facebook.com/ApproachingNirvana). In this photo of Henry Fong performing at a rave, you can see he is using a CDJ 2000 nexus. How can I tell? look at the color of the player itself and the large screen. This cannot be a NXS2 because it has three hot cues, not two banks of four. If you want more proof than that, take a look at the logo on the bottom right of the CDJ. Claptone seems to be using pioneer cds. 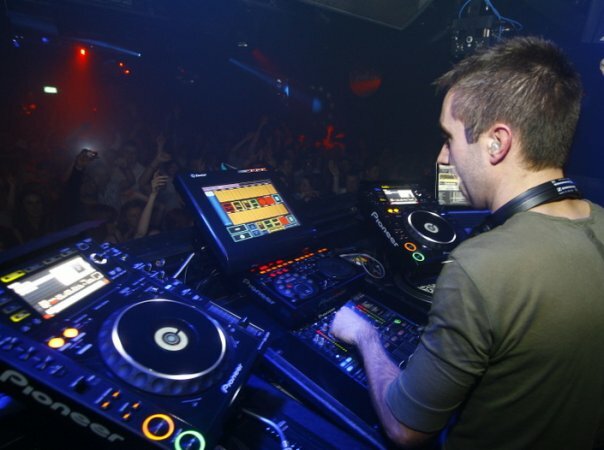 This photo shows Jeremy using pair of CDJ-2000 Nexuses. Bro Safari always uses CDJ Nexus 2000's. In this Instagram picture posted by Florian Picasso you can clearly spot the Pioneer CDJ-2000 nexus player. Check it out! In this Instagram picture you can see Thomas Newson playing live on a Pioneer CDJ=200 nexus player. Check it out! Ryan Sullivan performing a dj set at Amsterdam Dance Event on Pioneer CDJ 200 Nexus. Ingo Vogelmann pictured to the left. In this Instagram picture you can clearly spot the Pioneer CDJ-2000 Nexus. Check it out! Three Pioneer CDJ-2000 Nexus's can be seen in this Instagram picture, uploaded by The Magician himself. This item can be seen in this Instagram picture, uploaded by Wankelmut himself. Victor says in this post "MY WHITE | @whitedubai | #TBT"
In this Instagram pic you can clearly Technasia and the CDJ-2000 nexus in action! Both a [CDJ-2000](http://equipboard.com/items/pioneer-cdj-2000) and a Nexus can be seen in this image of Lost Frequencies performing live. A photo from their official facebook showing the members DJ-ing. Shaun Frank, during his live show at Escapade Festival. The 4 CDJ-2000 Nexus' can also be seen connected to the DJM-900 Mixer. This item can be seen in this Instagram picture, uploaded by Zac Samuel. Can be seen using them in this and many other videos on YouTube. Suggested CDJ of choice. Spotted using 4x Pioneer CDJ-Nexus at Beats For Love Festival. Univz took a picture about her CDJ-2000 Nexus. In this special edition of Nicky Romero's protocol session's 150 there wes a live performance by Volt & State. Check 12.08 for the equipment update! In this Instagram pic you see Anish Sood using the Pioneer CDJ-2000 nexus. Check it out! Rain Man posted a photo of his DJ setup to Twitter, which includes a pair of CDJ-200 Nexus players. In this video we can see at 0:00 a Pioneer CDJ-2000 Nexus on his studio. In this pic he uses CDJ-2000 Nexus. Here you see Bougenvilla using the cdj-s at a party that he is DJ-ing at. DJtechtools special article reports on unique setups. In this image from Tobu's Twitter account, the recently purchased CDJ can be seen. Feenixpawl rely on Pioneer DJ gear. They use CDJ-2000 Nexus players. At about 15 seconds, three Pioneer CDJ-2000 NXS can be seen on the setup. A pair of Pioneer CDJ-2000 Nexus can be seen in this Instagram picture, uploaded by the artist herself. In this facebook photo, posted May 21, he uses CDJ-2000 Nexus. A pair of Pioneer CDJ-2000 Nexus can be seen in this Facebook picture, uploaded by the artists themselves. He can be seen with two CDJ 2000 Nexus . This item can be seen in this Instagram video, uploaded by the artist himself. In this Instagram photo of JAKKO performing live, one can see a Pioneer CDJ-2000 Nexus. In this Facebook photo of Helena performing live, one can see 4 Pioneer CDJ-2000 Nexuses. Gazzo relies on Pioneer DJ gear for his live performances. He uses 4 CDJ-2000 Nexuses. rezz spins the famous CDJ-2000 Nexus CD players in her live setup. In this Instagram picture, a pair of Pioneer CDJ-2000 Nexus can be seen used during a liveset. Etherwood is using three of theese DJ decks on this performance. CDJ 2000 nexus for dj set ! A Pioneer CDJ-2000 Nexus is being used by this Music Producer, as it shows in this Facebook Picture. In this Instagram picture, uploaded by Two Friends themselves, a pair of Pioneer CDJ-2000 Nexus can be seen during a liveset. ZXR Productions can be seen photographing their pair of CDJ 2000nexus and a DJM-900nexus in their Studio in the Instagram shot taken from their official account. A pair (actually just one) of Pioneer CDJ-2000 Nexus can be seen in this Instagram picture, uploaded by the artist himself. A pair of Pioneer CDJ-2000 Nexus can be seen in this Instagram picture, uploaded by the artists themselves. Spotted at a festival with the CDJ 2000 nexus ! In this Instagram photo, Jax Jones shows up that uses a Pioneer CDJ-2000 Nexus. "I love using the CDJ 2000's, they allow me express my sets in ways which couldn't be done on the old kit"
In this DJ Tutorial by Jon Sine you can see him using two CDJ-2000 Nexus and one DJM-900 Nexus. Also in the description of all of his videos you can find links to the Pioneer Nexus series under "DJ Equipment". Amelie Lens uses cdj-2000 nxs during her lives. 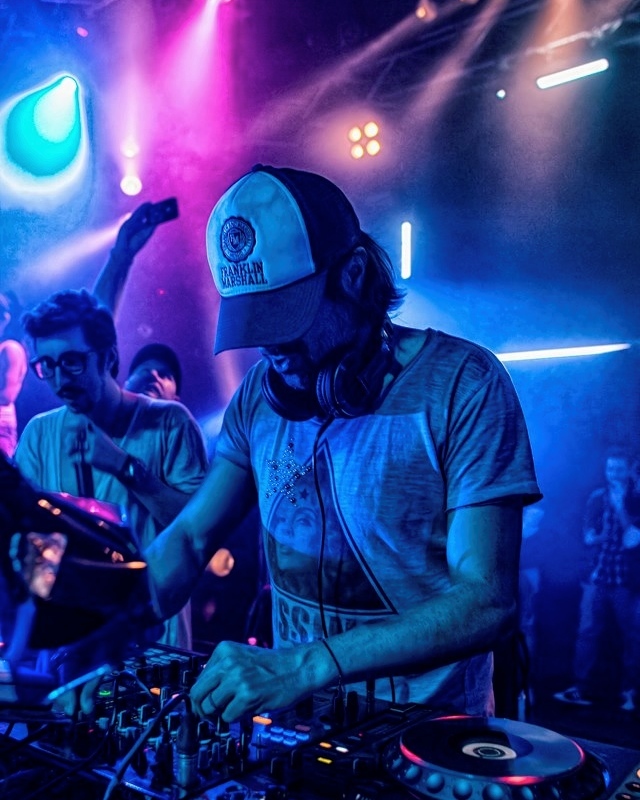 Domastic is seen using a CDJ-2000 Nexus. In this Instagram pic you can see the brand new Pioneer CDJ2000 NXS . Check it out! The CDJ-2000nexus, offers exciting features and technologies including Wi-Fi connectivity, compatibility with Pioneer's new rekordbox App for iPhone, iPad or iPod touch, Android tablets and smartphones and new functions such as Beat Sync, Wave Zoom and Slip. Newly enhanced features inherited by the CDJ-2000nexus include a selection screen interface for a more intuitive music search experience, increased visibility of the needle search pad, and improved master tempo sound quality. The CDJ-2000nexus can utilize different music sources, from a hard drive to USB thumb drive and/or SD memory card, and now for the first time, an iPhone, iPad and iPod touch, Android devices and a computer via Wi-Fi. Using Pioneer's rekordbox App to create playlists, cue/loop points, beat location settings, waveform analysis and more, users can temporarily transfer the content wirelessly through Wi-Fi to the CDJ-2000nexus. Users can also perform the same wireless function with a Mac/PC utilizing the rekordbox music management software. ¢ Beat Sync - Tempo and beat location of music currently playing on one of the device can be matched with the push of a button. ¢ Traffic Light - Shows the keys of music being played by any players connected via Pro DJ Link, making key-compatible music easier to find by a different color indicator. ¢ Beat Count and Phase Meter - The Beat Count, which is the number of beats until a set point (memory cue), and the Phase Meter, which shows the beat/bar of the music, can also be displayed simultaneously by other players. ¢ Slip Mode - When activated, Slip Mode silently continues song playback during a loop, reverse or scratch and continues audible playback at the exact time when the loop, reverse or scratch is ended, resulting in smoother transitions. ¢ Quantize - Utilizing a Quantizing feature, cue points and loops can be set perfectly on-beat. The Quantize feature ensures cue points are set accurately and automatically, correcting and synching beats during manual looping or real-time cueing to reduce off-beat mistakes. ¢ My Settings - The function settings of a player can be saved to an iPhone, iPad or iPod touch, USB storage device, SD memory card, or other device. For additional convenience, the settings can also be can be made ahead of time on the rekordbox App or software allowing users switch to their settings when a connection is made to the CDJ-2000nexus. ¢ Wolfson Processor - To achieve excellent sound quality, the player is equipped with the audio industry's highly respected Wolfson DAC processor, delivering a very transparent, accurate audio signal with a highly improved signal-to-noise ratio and increased headroom. ¢ DJ software MIDI/HID control - Up to 35 controls on the surface of each player can be used to trigger other devices, such as DJ effectors and software by way of HID and/or MIDI. ¢ Active Loop - Automatically starts loops when playback begins from a specified point. ¢ Needle Search - the touch pad lets the DJ "place the needle" and jump quickly to a specific part of a music track. ¢ Load Previous Track - Playback of prior music that has been loaded to the player. ¢ Rating on the Go - Users can rate tracks during play for easy reference or sorting. The rekordbox App is available for free from the App Store on iPhone and iPod touch. Top class Pioneer. A funny and creative machine! For my sets I use three CDJ-2000 Nexus players. What I love about the Nexus is that I have access to the waveforms and my cue's and loops. The ability to hub the players into a network and connect to recordbox is a must for podcasting and studio work. Industry standard. I want 4. Very good. I love this CDJ! As a good friend once said to me... The 2000's are smooth as butter. Pioneer isn't going anywhere. If you don't have some type of CDJ in your club then you need to step away from the 80's. These are solid and reliable - I personally have never had an issue that I couldn't fix on the fly with no interruptions. Hands down the best CDJ on the market. Reliable, professional, industrial strength. No wonder its the club standard. They're the standard in DJing for a reason... Really good. I use it for it's position of being the industry standard live performance tool. I had to get some CDJs. Some clubs nowadays won't even let you in if you don't DJ with CDJs. I'll miss my controller, but this is how everyone does it!